The Sandy Amphitheater is located in Sandy, Utah on the northwest corner of 9400 South and 1300 East overlooking the Salt Lake valley. The concert experience at the Amphitheater is truly unique and one you will not find elsewhere in the area. The Show Barn is our indoor facility in Thanksgiving Point which has flexible seating to accommodate a variety of private events and frequent host to public events. 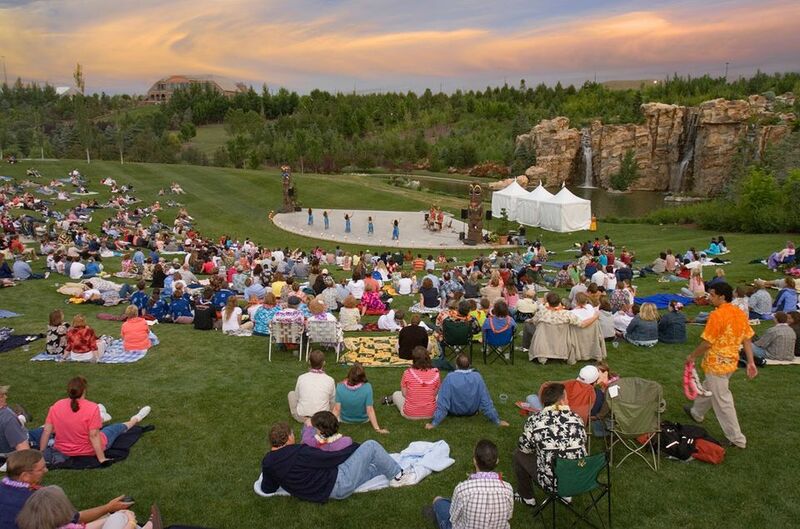 Thanksgiving Point Waterfall Amphitheatre offers the largest man-made waterfall for an amazing backdrop for outdoor performances. Electric Park provides 15 acres of festival grounds with a covered pavilion for large events make Electric Park the location of choice for large concerts and events.. It offers a wide open space to enjoy local festivals and community events held there throughout the year. Velour Live Music Gallery is a music venue, on University Avenue, in Provo, Utah. 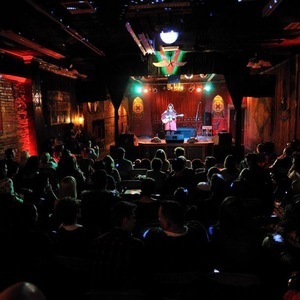 Velour, owned by Corey Fox, acts as an all-ages music venue catering to an eclectic mix of genres. It is also a smoking and alcohol free environment. The Great Saltair is an all-ages concert venue located in Magna, Utah. The Saltair Magna is now recognized as one of the most noteworthy entertainment hotspots in Utah. The vast performance space, twin balconies, state of the art sound and lighting and its stunning lakefront location all combine to make Magna’s Saltair the place to go for live music and entertainment in Utah. Sundance Owl Bar is a restored 1890’s bar moved from Thermopolis, Wyoming to Sundance. The original Rosewood Bar was once frequented by Butch Cassidy’s Hole in the Wall Gang. Friday and Saturday nights the Owl Bar features live music. The Complex is home to 4 of Salt Lake City’s newest venues, all located within a single 42,000-square-foot building. Able to host up to 4 events on the same night, at the same time. Urban Lounge in Salt Lake City is a late-night concert venue featuring cocktails & nightly live performances in an intimate interior. In the Venue (SLC) is one of Salt Lake City’s premier live music concert venues, featuring everything from local DJs to live acts on nationwide tours. Housed in one of the oldest night clubs in Salt Lake City, Music lovers the valley over come to In the Venue to see hear and appreciate the best the music industry has to offer. The Depot is a 1200 capacity, four-story venue located in downtown Salt Lake City that is part of the Union Pacific Train Station. It is a 21-and-older venue with a patio for smoking. Although The Depot mainly hosts concerts, the venue also is available for corporate parties and private events. Kilby Court is a pint-sized, longest lasting bare-bones music venue in Salt Lake City without age restrictions showcasing local & smaller touring acts. Pioneer Park is the site of the first pioneer campsite in Salt Lake City, and the site of the first pioneer fort. This park with paths, a playground & sports courts is host to a weekly farmer’s market during summer. This Park holds the Twilight Concert series. SilverLake Amphitheater in Eagle Mountain, Utah is an outdoor concert venue with general admission lawn seating that holds a capacity of 6,000 people.